Richard Sullivan is Professor, Cancer Policy & Global Health at Kings College London and Director of the new Kings Institute of Cancer Policy. As a member of the Integrated Cancer Centre executive he leads the international strategy and is also Visiting Professor at the Faculty of Medicine, Universidad Catolica, Chile, and Washington University. Richard also serves on Kings Centre for Global Health and the Marjan Centre for Conflict & Conservation. Arnie Purushotham is Professor of Breast Cancer at King’s College London and Honorary Consultant Surgeon at Guy’s and St Thomas’ NHS Foundation Trust. His roles include Director of the Integrated Cancer Centre and Clinical Academic Lead for Cancer at King’s Health Partners. He is also the Clinical Director for the London Cancer Alliance. Henrik Møller is Professor of Cancer Epidemiology at King’s College London School of Medicine, and Director of Cancer Epidemiology and Population Health in King’s Health Partners Integrated Cancer Centre. He was a Director at the Thames Cancer Registry from 2000 to 2011. Dr Grant Lewison was originally trained as a mechanical engineer at Cambridge. He has been working in science policy and research evaluation since 1981. He has specialised in bibliometrics (the quantitative study of publications) since 1993 when he joined the Wellcome Trust to set up and run the Research Outputs Database (ROD) as a “club” project with around 30 members. Professor Gordon McVie is an international authority on the treatment and research of cancer. Along with Umberto Veronesi he is the founding editor of ecancermedicalscience, an open access cancer journal from the European Institute of Oncology in Milan. Dr Ajay Aggarwal is a Consultant Clinical Oncologist at Guy’s & St Thomas’ NHS Trust and Honorary Senior Lecturer at King’s College London in the Department of Cancer Epidemiology, Population and Global Health. Kalipso Chalkidou is the founding director of NICE’s international programme, helping governments build technical and institutional capacity for using evidence to inform health policy. She is interested in how local information, local expertise and local institutions can drive scientific and legitimate healthcare resource allocation decisions. Dr Stuart Hogarth is a member of the Department of Social Science, Health and Medicine at King’s College London. He trained in the history of medicine, but now works at the interface between medical sociology, bioethics and science and technology studies. Julia Fan Li is a Director at Lion’s Head Global Partners with primary responsibility for the Global Health Investment Fund (GHIF). The GHIF aims to fund research and development of global health interventions including drugs, vaccines and diagnostics for diseases that disproportionately burden low-income countries. Gemma is currently an ESRC Future Research Leader Fellow with the Health Economics Research Group at Brunel University. She graduated from a PhD in Science Communication and Research Evaluation from The Australian National University in 2010. Tim Eden has held Consultant jobs in Bristol, Edinburgh, London and Manchester, the latter two as Professor of Oncology, initially in Paediatrics but latterly as the Teenage Cancer Trust Professor of Teenage and Young Adult Cancer. He us now Emeritus Professor in Paediatric and Adolescent Oncology at Manchester University. Bob Thomas graduated from Medicine from the University of Melbourne and trained in surgery at the Royal Melbourne Hospital as well as in England and Boston. He commenced surgical practice at the Royal Melbourne Hospital where he also taught medical students. As Director of England for Macmillan Cancer Support, Fran leads a Directorate of over 100 people delivering service development and innovation, specifically with a focus on whole system redesign to deliver joined up, seamless pathways of care for cancer patients across England. Dr RA Badwe has more than 25 years diverse experience as a Surgeon and Oncologist, and as Director, has led Tata Memorial Centre, a world renowned institution in the field of cancer care. Ophira Ginsburg is a medical oncologist with a primary focus in women’s health equity and global cancer control. She is a fellow of the Royal College of Physicians and Surgeons (Canada), a Scientist at Women’s College Research Institute, and holds academic appointments at the University of Toronto, and James P Grant School of Public Health, BRAC University, Bangladesh. She is an advisor to the National Institute for Cancer Control of Vietnam, a member of the Technical Advisory Committee of the Harvard-based GTF.CCC and recently joined the first Global Task Force on Radiotherapy for Cancer Control. Mohandas Mallath is currently the senior consultant in department of digestive diseases at the Tata Medical Center, Kolkata. His current appointments includes: Member, Academic Council, Medical Council of India, and Member, Digestive Oncology Taskforce, World Gastroenterology Organization. Alexander Eggermont is the Director General of the Gustave Roussy CCC, Villejuif/Paris-Sud, He is Full Professor of Oncology (Classe Exceptionnelle) at the Paris-Sud University in Paris, France. He is Full Professor of Surgical Oncology as well as Endowed Professor of International Networking in Cancer Research at the Erasmus University Medical Centre in Rotterdam. Gabriella Pravettoni is full professor of Cognitive Psychology at the Department of Health Sciences, University of Milan, Director of the Interdisciplinary Research Center on Decision Making Processes (IRIDe) and Director of the Applied Research Unit for Cognitive and Psychological Science at the European Institute of Oncology (IEO) in Milan. Elena Pallari is Research Assistant at King’s College London School of Medicine. Her current work is on the evaluation of the research impact of Europe in 5 NCD (non-communicable disease) areas. Previously she has held posts at the Brunel Institute for Bioengineering and Imperial College Business School working on the conduct and evaluation of RCTs (randomised controlled trials). Dr. Jean-Marc Bourque studied medicine at l’Université de Montréal and radiation oncology at Western University, while also completing a 2-year Global Health Certificate at the Dalla Lana School of Public Health at the University of Toronto. 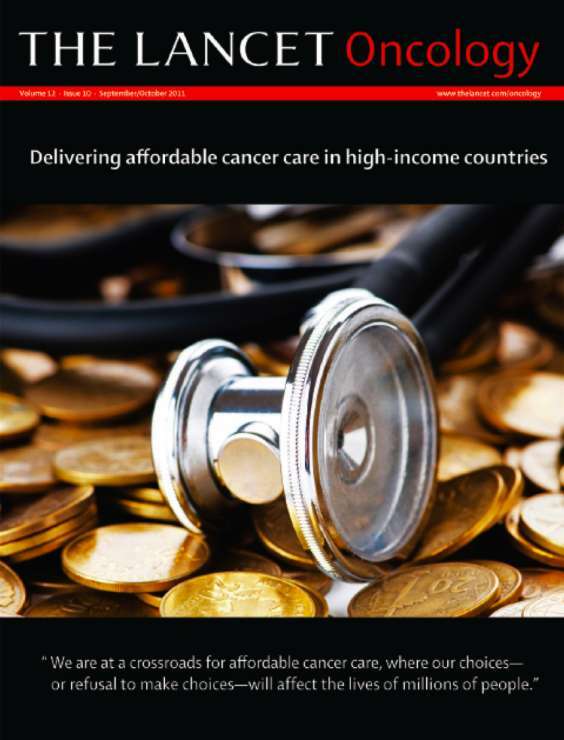 The Institute of Cancer Policy (ICP) was founded in 2011 following the first Lancet Oncology Commission on Affordable Care in High Income Countries which its faculty led. Based at King's College, London and King's Health Partners, the ICP brings together a distinguished global faculty dedicated to policy to improve care, education and research in global cancer. The ICP works for and with a wide range of individuals, countries, organisations and settings. We have a particular focus on the needs of the worlds' most vulnerable cancer patients. Our mission is to conduct high quality, critical policy research using a wide variety of methods to improve the lives and outcomes of cancer patients in all settings and ensure that cancer control is part of Universal Health Coverage remaining both affordable and equitable. The ICP is administered as a global partnership led by Founding Director Professor Richard Sullivan with its management group and global faculty.